What a journey it was to get to this beautiful place. 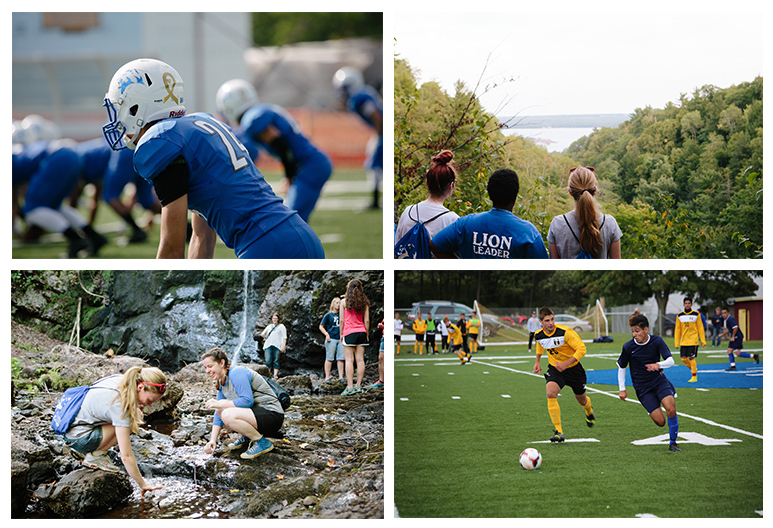 Hundreds of striking photos, dozens of inspiring videos, and hundreds of pages that have been optimized and reworked to best tell the story of Finlandia University. We’re proud of where we’re at, and where we’re going. As we move forward, we’d love to have you tell us what you think of the new website. Whether you’re looking at this site on your trusty old iPod Touch, or a brand new Surface Pro 4, the Finlandia University website will be easy to navigate and find information on. The most common complaint on the old Finlandia University website was the search engine didn’t work. That problem has been solved, and search results should only improve as the site matures. Nearly everything on our website is now available in just one click or two taps from just about everywhere on our website. 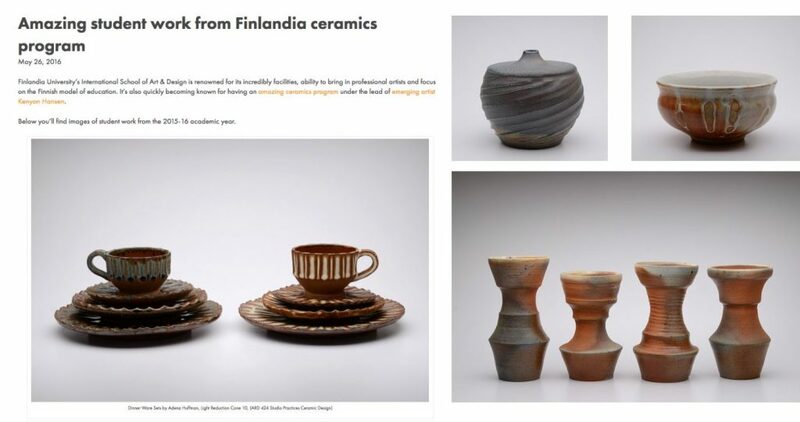 Whether it is highlighting one of the amazing FinnU alums, showcasing a gallery of astounding student art work or making a big announcement on a new academic offering, the new Finlandia University website has the tools built in to effectively tell the unique story of FinnU. Students and staff want to do one the following things almost every time they visit finlandia.edu: Check their e-mail, log-in to EMPOWER or use eCollege. Those three links are located at the top of every page. Finlandia University is located in the picturesque Upper Peninsula of Michigan. The new website showcases many beautiful images of our region and campus, as well as highlights the many faces that you’ll see on campus on a daily basis. Finlandia staff is also proud to say there are zero stock photos on the website. It’s vital to make sure Finlandia University is available to everyone, and with the new finlandia.edu, access to the university’s website for everyone is vastly improved. Visitors are invited to also use the website’s new site map by visiting finlandia.edu/sitemap. 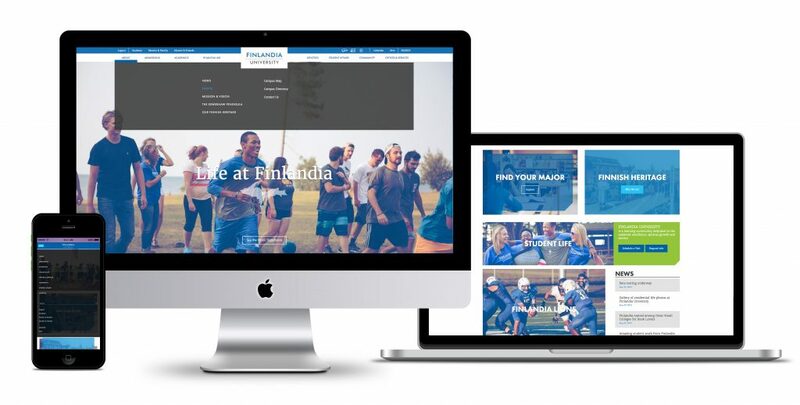 In the spring of 2014, as part of Plan 2021, Finlandia University began a process of visually rebranding the century-old organization, and this website is the crucial next step in that process. The focus on improving the university’s image and marketing efforts are hardwired into this website. This whole process wouldn’t have been possible without the following people. Lake Effect – Jonathan Cambell, Sara Woodruff, Matt Niedzielski, Nate DeHaan and the rest of the crew for all of the work throughout the last year. Finlandia’s Management Team – President Philip Johnson, Vice President Karin Van Dyke, Vice President Fredi de Yampert and Chief Financial Officer Angela Price – as well as former management team members Nick Stevens and Lenny Klaver – for the support from day one of this project. Defined Visuals – Mark Riutta’s incredible video work is found all over this website, and has been a key part of the university’s online presence for nearly half a decade. Jillian J. Photography – Jillian Sarazin’s eye for beauty has been a wonderful blessing to FinnU, and she’s quickly becoming a fixture on campus. Finlandia’s Board of Directors – Unwavering in their support of Finlandia University, and the progress that is being made. Staff, students, alumni and friends of the university for taking the time to be here at finlandia.edu, providing input and feedback throughout this process, and being consistent supporters of the university and its mission. One thing the marketing and communications office at Finlandia University wants to make very clear with the new website: It’s an ever-evolving tool. Finlandia’s staff, while working with Lake Effect, has worked hard to make the best product possible, but it’s never done. There’s always room for improvement. Please contact Finlandia’s marketing and communications staff with your feedback, and check back often because there will be many more exciting things happening at finlandia.edu moving forward!